Like estate agency, the travel business has experienced some fundamental changes to its traditional model, driven by technology. 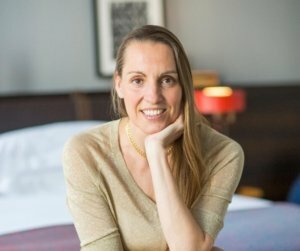 Tamara Lohan founded the successful hotel directory Mr & Mrs Smith, disrupting the traditional sector with a digital brand. She’s also worked in the marketing departments of international brands including Honda, Unilever and Ericsson. She now speaks at events all over the world, including the lovely surroundings of the Rightmove house at this year’s EA Masters. We caught up with her just before she took to the main stage to ask some of your burning questions.